Leadership is at the core of the morale problems plaguing today’s law enforcement officer. “One-dimensional leadership” is management’s practice of using intellectuals and academics to design their strategies for solving policing issues. These are well-educated people who have little or no actual hands-on, practical experience in police work. They don’t do the actual job. They are well-respected students of policing whose philosophies and theories are blessed by management. Some ideas are good and some not so good. This creates serious morale problems because those officers who actually do the job are not consulted for their input prior to the implementation of a strategy. Tony Moreno is a retired 32-year veteran detective with the LAPD. He has recently written a book, Cops in America: Dealing with the Ferguson Effect, and maintains his website at www.gangcop.com. The “elite” of law enforcement leaders have a collection of lobbyists, consulting firms, and think tanks that provide research and strategies for policing. The knowledge or input of the experienced frontline officers who actually do the job is rarely considered. The coach isn’t putting his “best player” in the game. It’s ironic because many of today’s “innovators” use the theme of returning to the “cop on the beat” method of community policing. That is because the “cop on the beat” understood the job, the people, and their problems. Yet in today’s intellectual environment, that actual “cop on the beat” would not be consulted for his unique wisdom and knowledge. Police work can be a dirty, nasty, and unpleasant job. Few people possess the mental endurance needed to be successful at it. Today’s frontline officers are considered at the bottom of law enforcement’s food chain due to their assignment and the rank connected with that assignment. 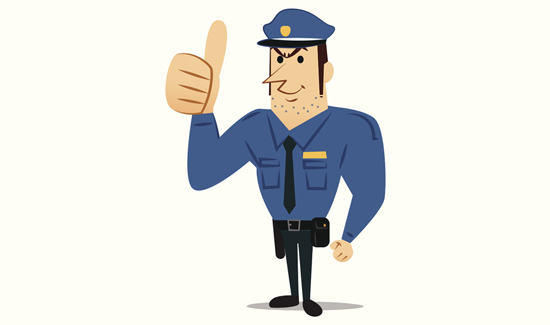 Officers do not feel appreciated by their bosses for the difficult job they do. For a police executive to tell a group of officers to “dump the warrior mentality” and adopt a “guardian” mindset is demeaning and lacks insight. During a normal shift, a patrol officer will wear many hats, depending on the situation. That officer may be a counselor, teacher, parent, adviser, referee, babysitter, mediator, or coach. “Warrior” and “guardian” are just two more of the many roles the frontline officer must fulfill. In talking to frontline officers, I can tell you that many are upset, resentful, and frustrated by management’s lack of concern and respect for them. Everyone else’s opinion about their job seems to be more important. This is a serious problem. One solution is a balanced mix of intellectual ideas and theories blended with the valued wisdom and experience that can only come from the frontline. Put those highly educated minds in a room with seasoned, battle-scarred veteran cops and watch the real innovation begin. Add another dimension to the problem-solving process by including insight, ideas, and knowledge that come from experienced officers. You stand a better chance of winning by putting your “best players” in the game. The academic world does have a lot to offer but is limited by the lack of real world application. Experienced street officers can benefit from seeing new and different ideas and can be the buffer that keeps well intentioned but bad ideas from becoming policy.